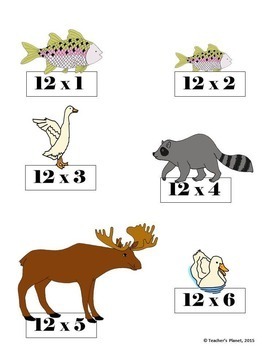 Multiplication Games - File Folder Animal Habitats Bundle! Kids love file folder games! They feel like they are playing a game while working. 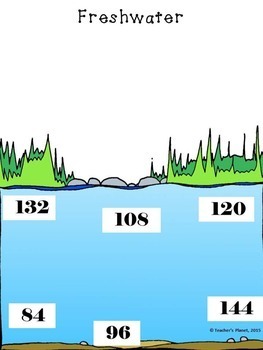 This game focuses on the 12X table with the help of some freshwater friends. File folders are great for working individually, with a partner or in math centers. 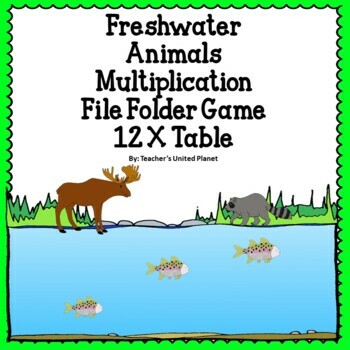 Save money by buying the Multi-pack of animal file folder games. 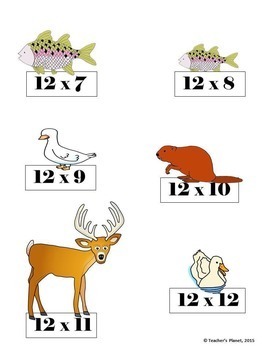 Check out some other multiplication games!